Photo by @austindistel on Unsplash. Over the last few years, the importance of social media has grown exponentially for businesses. Brands now need a dedicated team, or at least a dedicated person, to look after their social media presence. In some cases, business owners themselves double as social media managers for their brand. This only serves to highlight how important the role is in the overall marketing scheme of the company. However, it’s a demanding job. By the very nature of social media, it requires you to be on your toes all the time. To be a successful social media manager, you’ll have to hone a wide range of skills and constantly train yourself to get better at them. If you’re not sure where to start, we hope this blog will help. What will your job profile be? Typically, as a social media manager, you’ll be responsible for developing, executing, maintaining, monitoring, and measuring your social media strategy in order to build the brand’s presence online. But that’s just the big picture. What this means on the ground is that you’ll have to create and optimize campaigns for each network your brand is on, respond to your followers in your brand’s “voice,” analyze and measure what’s working, and restrategize plans that aren’t going as expected. One of your main roles as a social media marketer will be to create engaging content for your brand’s social media profiles. 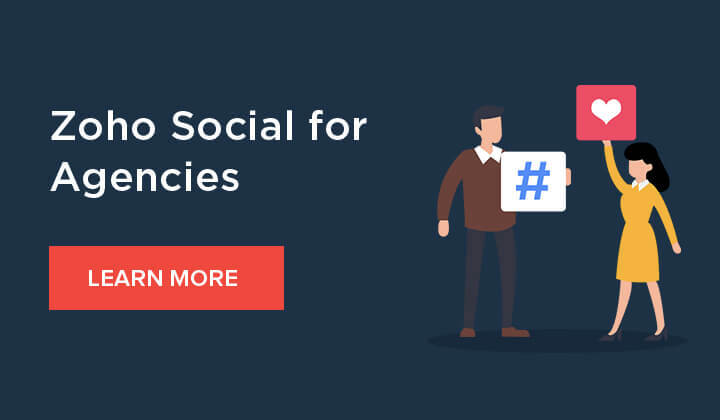 Even if you’re only writing an Instagram caption or a tweet, you’ll need to come up with creative campaigns and content to engage your followers. Boring, repetitive content will hurt your numbers and eventually drive your followers away altogether. It’s also important to have good writing skills, because each network needs a different style of writing. For example, LinkedIn requires a more professional tone, while Twitter can be more fun and easy-going. While it’s important to have good writing skills, and to be creative while doing so, you should also be able to find and curate relevant content for your brand. You’ll need to spend time researching what content is interesting and relevant to your followers, know how to find it, and also share it at the right time. If you’ve got all of this right, you’re probably already halfway to a successful career. Success on social media depends largely on how you engage with your followers, and whether you’re able to keep them happy. It shouldn’t be just about posting content, logging out, and then checking back in when you have your next copy ready. Excellent communication skills are a necessity, and it’s important to learn how you can steer conversations into building your own community. However, it’s not all going to be nice and friendly. You’ll have unsatisfied customers sending you messages or posting on your social media profiles. You’ll have to be ready to support your customers at any moment. Sometimes, things can go really wrong. Your servers may go down, or there might be some game-breaking bugs in your products. At these times, you can’t just run away—crisis management is integral to community building, and should be taken seriously. Thanks to ever-improving smartphone cameras and the host of editing apps available today, now anyone can create great pictures. However, that makes it even more necessary for a social media marketer to have an eye for design. Apart from taking pictures and creating designs, social media marketers should also be able to come up with entertaining videos for their profiles. But don’t worry if you aren’t experienced with photography, video editing, or design. We’ve put together this list of tools to help make things easier for you—just choose your favorite from the list and you’ll be a pro in no time. The social media landscape is extremely dynamic. New networks are created frequently, existing networks change their algorithms, and users can shift to different networks at any time. As a social media marketer, you should keep your eye on all of these to help you strategize accordingly. You’ll also need to know how each network functions on different platforms. It’s a good idea to always keep in mind how your content will look on mobile, but don’t forget the web browser versions, as well. When it comes to content, it’s critical to put out well-researched posts. Not only should you be sourcing your information from credible sources, but you should also be able to understand how whatever you’re learning can help you achieve your overall social media goal. When you’re a social media marketer, you’ll have to know more about social media than your average user. For example, knowing the basics of paid ad campaigns is a necessity. You’ll need to know how to create your ad campaign, how the different elements of your ad will affect it, who to target, and how much money you’re willing to spend, and on what. Only when you know how your ads are impacting your posts, will you be able to perform deeper analytics, and understand how much organic reach your posts are getting. With the advent of social media tools, it’s become much easier to track the performance of your content on social media. Now you can track engagement on your posts, figure out the best time to post content, and in some cases, even measure the return on investment for your marketing efforts on social media. Of course, what you choose to measure depends on what you’ve set as the Key Performance Indicator (KPI) for your brand. If your main goal is lead generation, you can measure how many you’ve generated through your social media efforts. If your goal is visibility, you could choose to measure engagement on your posts or traffic to your pages from your social profiles. Clearly understanding how well your posts are performing, and being able to accurately measure how successful your campaigns are, will enable you to measure your strategy as a whole. This will then help you decide on to approach your future campaigns. Developing these skills will help you go a long way in your career as a social media marketer. With their help, you’ll be able to build a community of loyal followers, and consequently, establish your brand’s presence online. Know of anything we missed, or have any questions? Feel free to leave a comment below, and we’ll be sure to get in touch with you. Google+ is (finally) dead. Good news is there’s something better.